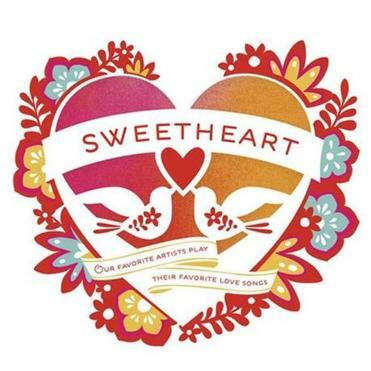 Right on time for Valentine’s Day soundtracks, “Sweetheart 2014” banks on a tried-and-true conceit: We love cover songs. And this collection, featuring various artists mostly from the indie-rock realm, is surprisingly effective at dismantling love songs and reimagining them in fresh contexts. Too often artists who interpret songs treat the originals with so much reverence that they end up making carbon copies. Not so with this new compilation out on Hear Music, the Starbucks-affiliated label. Ben Harper cuts through the haze of Mazzy Star’s “Fade Into You,” setting it against ghostly piano and a plaintive, stark vocal that gets right to the heart of the tearjerker. Also on piano, with two female backup singers cooing in the distance, Bahamas makes “Always on My Mind,” popularized by Willie Nelson, a celestial hymn to lost love. Fiona Apple and Maude Maggart, her sister, turn “I’m in the Middle of a Riddle,” an old novelty song, into a playful Latin American folk waltz on which their voices wrap gorgeously around each other.